Three million older adults are treated for fall-related injuries each year, according to the Centers for Disease Control and Prevention (CDC). Checking your home for common hazards is one way to reduce your chance or becoming part of this statistic. Remove books, shoes, and other objects from the floors and stairs. Do not stand on a chair to reach things. Store frequently used objects where you can reach them easily. If you have to use a step stool, choose one with a bar you can hold. Have a lamp or switch that you can easily reach without getting out of bed. Use night lights in the bedroom, bathroom, and hallways. Add grab bars in the shower, tub, and toilet areas. Use nonslip adhesive strips or a mat in the shower or tub. Use helping devices, such as canes, as directed by your health care provider. Wear nonslip, low-heeled shoes or slippers that fit snugly. Avoid walking in stocking feet. Review medications with your doctor or pharmacist. Some drugs, including over-the-counter drugs, can make you drowsy, dizzy, and unsteady. Have your hearing and eyesight tested. Inner ear problems can affect balance. Vision problems make it difficult to see potential hazards. If you feel dizzy or lightheaded, sit down or stay seated until your head clears. Stand up slowly to avoid unsteadiness. 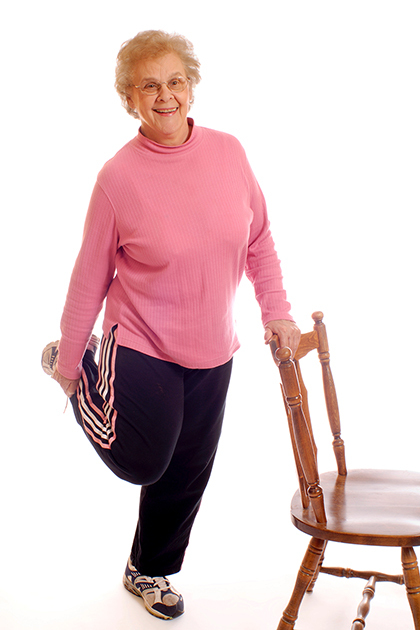 The CDC offers fall prevention tips on their website. This information is intended for educational purposes only. For health, legal, tax, or financial advice, please contact your professional advisors.